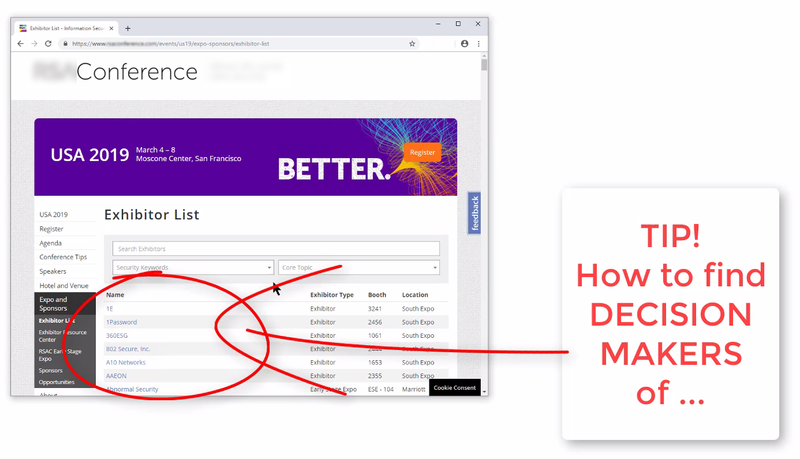 How to Find Decision Makers for any Conference / Trade-show 2019 Exhibitor list? 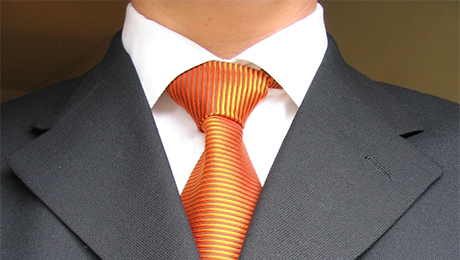 Are your best prospects at conferences and trade-shows? Chances are, the COMPANIES attending the trade-shows are your best prospects, but the people who are attending them are not the right Decision Makers you want to talk to. 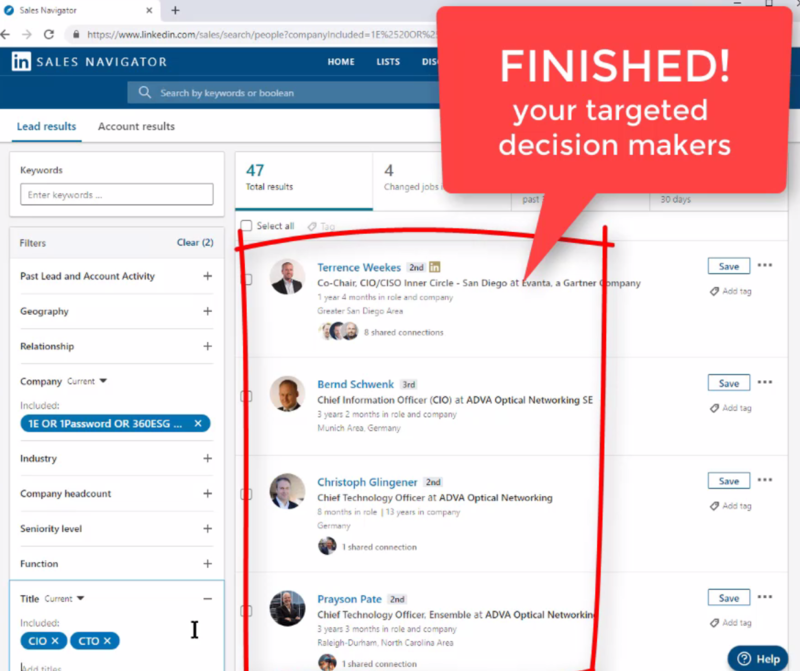 This tip shows you how to get to those Decision Makers in a couple of minutes! All you need is the companies list. 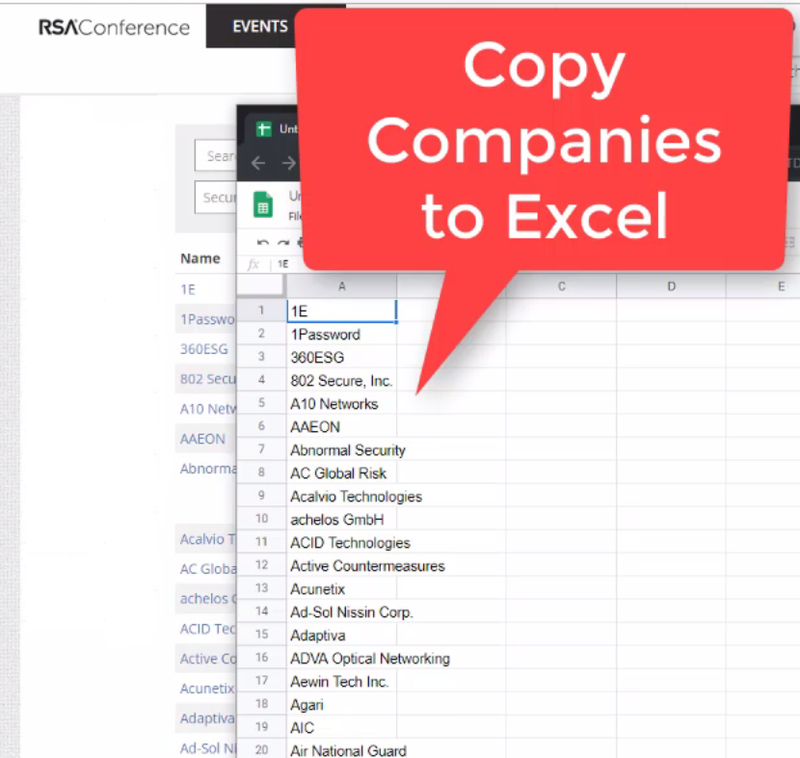 You’ll either be receiving the companies in the excel sheet from the organizer, or you have all of them listed on the conference website. 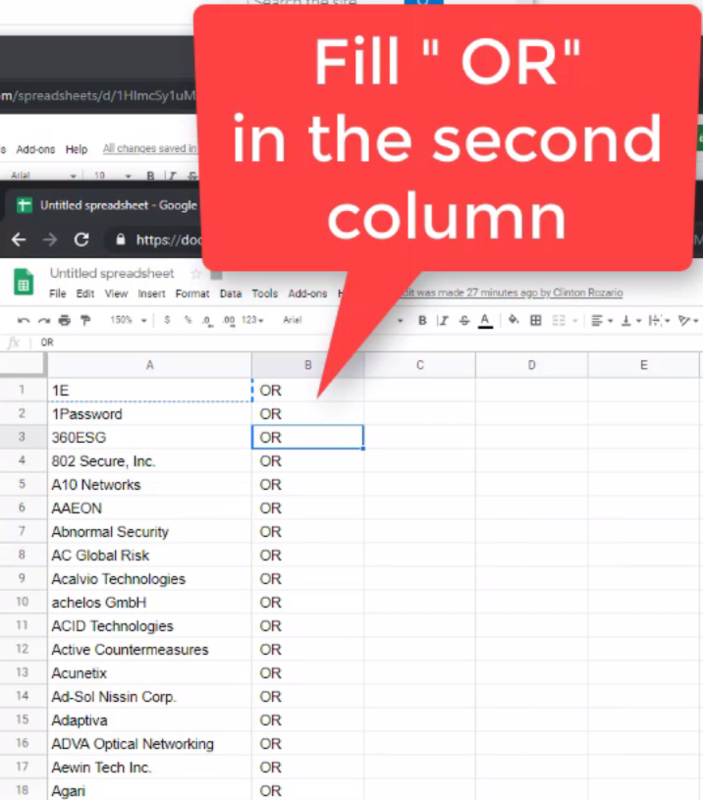 Type ” OR” in the second column. 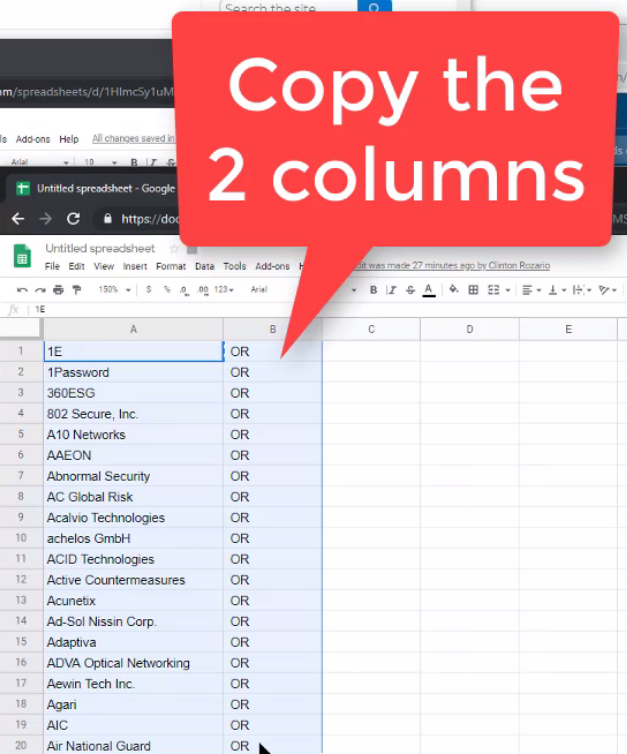 Copy the cell downward, so that there is an ” OR” to the right of each company name. Make sure there is space ” ” before the word “OR” – like so ” OR”. The space is important. You will need your LinkedIn for this step. 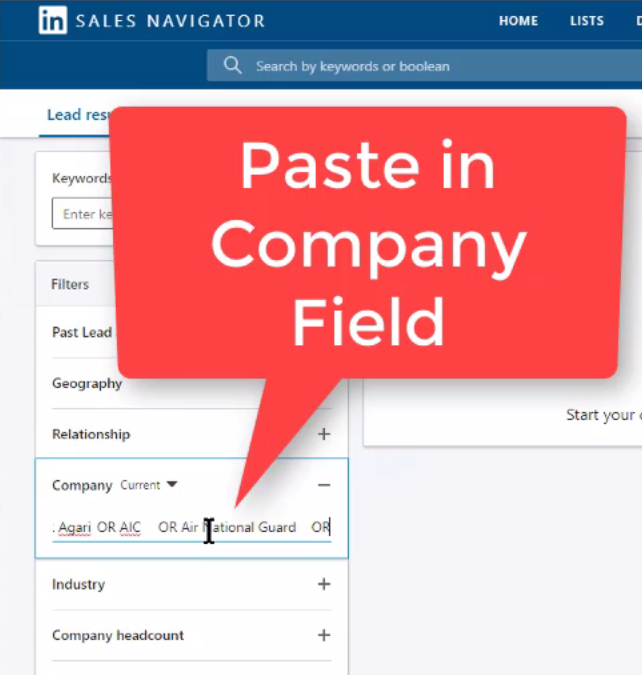 Works best with Sales Navigator. But if you have LinkedIn Recruiter or LinkedIn Premium, it works just as well. 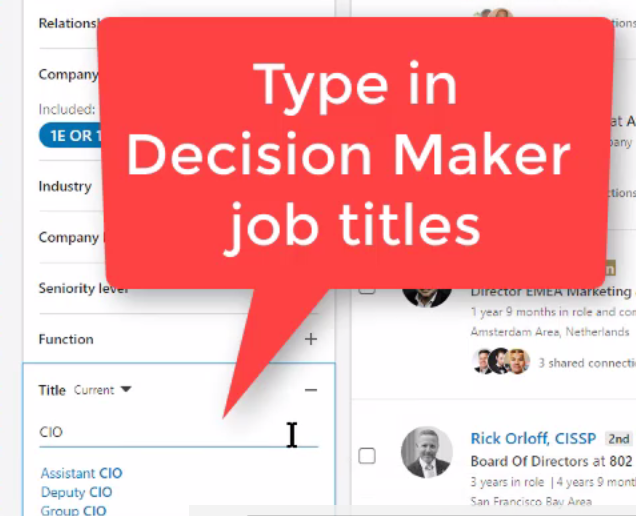 Type in the Job Titles of the decision makers you want to target, into the “Title” field. If you prefer using the “Function” and “Department” fields, feel free to use that too. Here you go! All the decision makers at EXACTLY those companies – those who are attending the conference / trade-show. If you need to automate the above process, try eGrabber Management Finder. 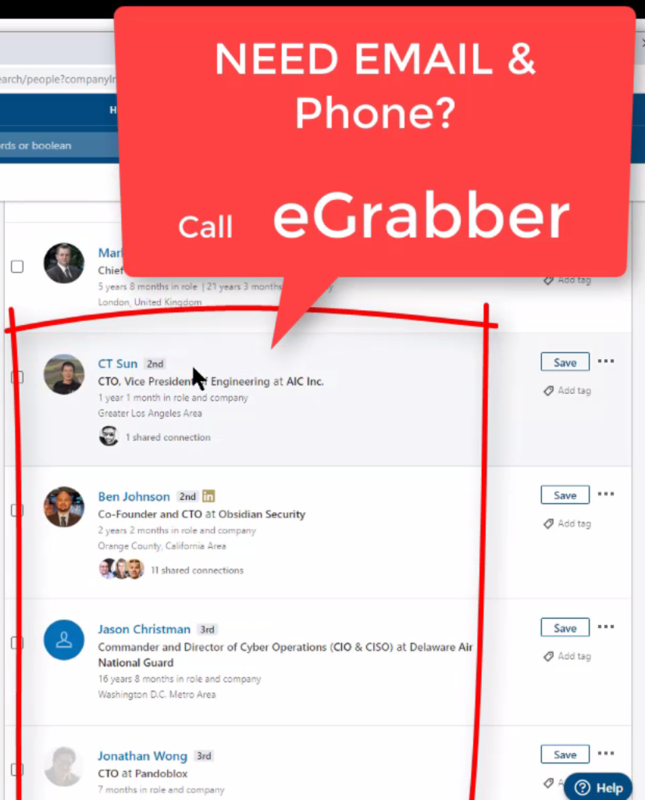 eGrabber Management Finder finds decision makers for your list of companies. It also researches and adds their verified business email address, phone number and LinkedIn-ID. We’ll build list of 50 Decision Makers for you, Live!